You can do it, ladies! And for those times you think you can't, Empowermints has got your back. These deliciously strong peppermints are formulated to give you an extra boost when the going gets rough and your confidence sags. Just pop one or two Empowermints into your mouth, roll up your sleeves, and take care of business. 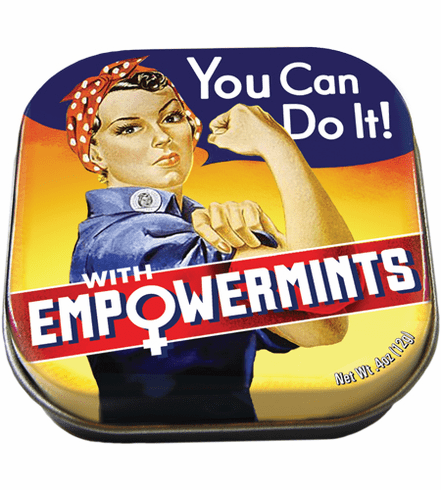 Empowermints come in an inspiring reusable tin and work just as well on men, too.